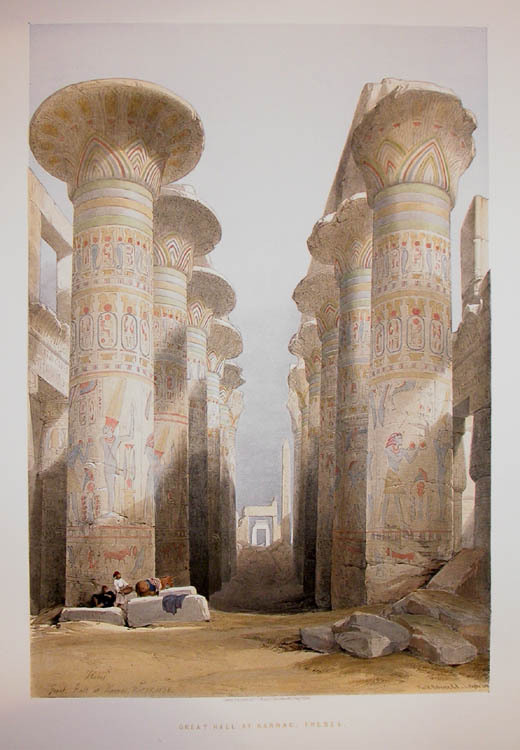 Comments: A classic Roberts image of the massive hall of columns at Karnak. A top print in the series. Price: $2,575 uncolored, $2,750 colored. Image: 12 7/8" x 18 7/8"